For the last number of weeks my friend Róisín Stack has been toiling away as Creative Producer on Mephisto Theatre Company’s production of Bryan McMahon’s “The Honey Spike”. The play opens tonight on the Town Hall Main Stage in Galway where it runs until Saturday. Advance word is that its something special, you can buy tickets here but hurry up as they are fast selling out. Breda Claffey has set her heart on returning to Kerry. For in Kerry is the Honey Spike, the ‘lucky’ hospital in which her child must be born. No other spike will do. But she and her husband Martin are far from home, at the northernmost tip of Ireland – and Kerry is a long, wearisome distance by cart. It’s a journey of endurance lightened by laughter and mischief. The travellers tangle with soldiers at the border, priests in the Midlands and feuding clans in Kerry. Breda rushes towards the future but the past is waiting for her at Puck Fair in the shape of Winifred McQueen, the gypsy girl who wanted Martin for herself. 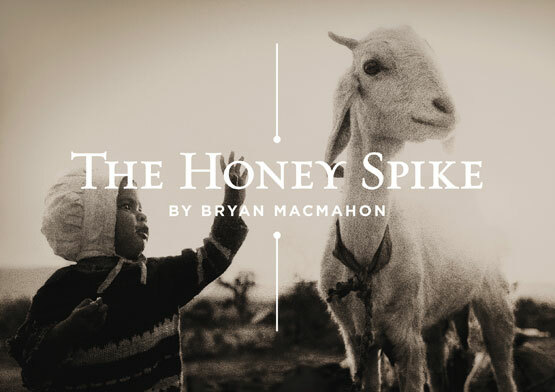 The Honey Spike evokes an Ireland of passion, wildness and beauty. Its people live as they have always lived; putting their faith in God and in magic, in religion and superstition, but their greatest belief of all is in life itself. Playwright Bryan McMahon comes from the great North Kerry tradition of Irish writers that includes his illustrious contemporary, John B. Keane. The Honey Spike, which was first produced by the Abbey Theatre in 1961, is widely regarded as his best play. Cast: Emmet Byrne, Órlagh De Bhaldraithe, Jerry Fitzgerald, Maeve Gormley, Helen Gregg, Daniel Guinnane, Martin Maguire, Zita Monahan, Joseph Moylan, Séamus O’Donnell, Eanna O’Dowd, Emma O’Grady and Brid Treasa Wyndham. Do I even have a tuxedo anymore?